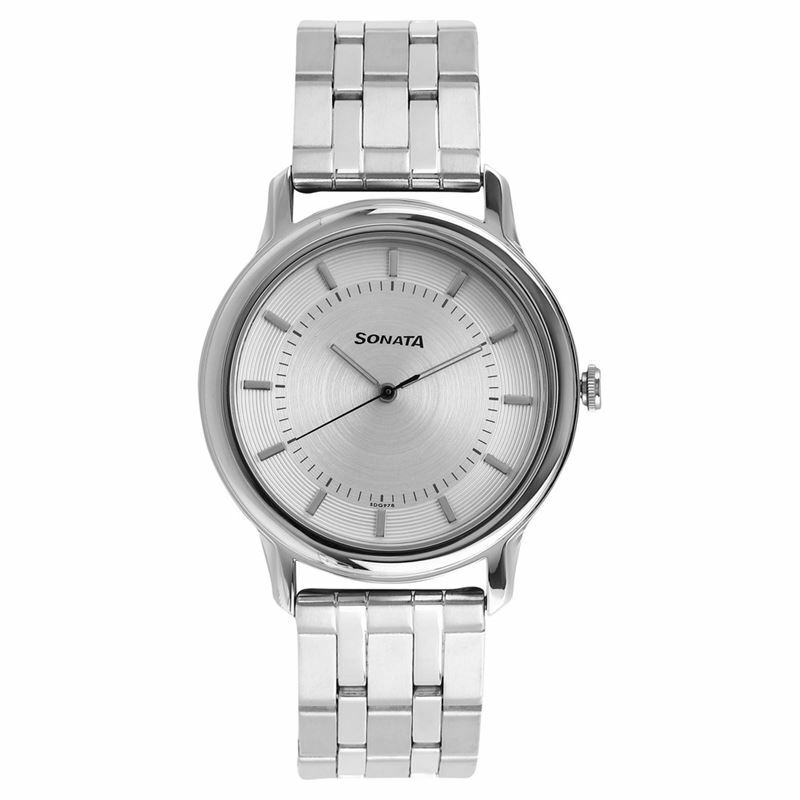 This elegant and trendy watch comes in a round stainless steel case with a dual polished sturdy metal strap. Its ultra slim case is all of 6.9 mm thick and gives the watch a sleek finish. The dial and the hour marks are in pleasing silver colour, with the second’s hand in contrasting black.